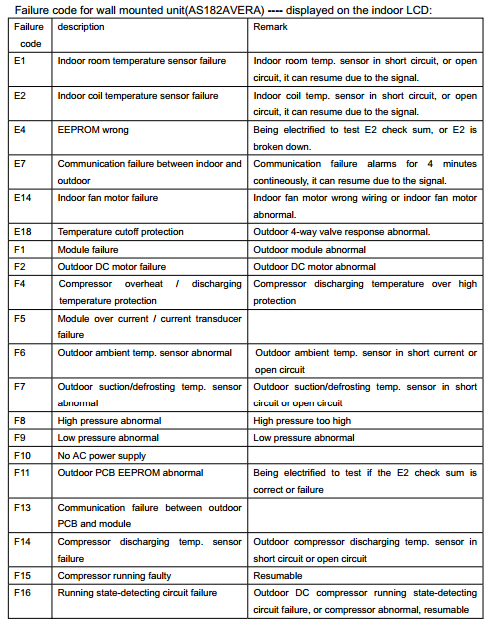 E2 Indoor coil temperature sensor failure Indoor coil temp. sensor in short circuit, or open circuit, it can resume due to the signal. Remark: Indoor room temp. sensor in short circuit, or open circuit, it can resume due to the signal. Remark: Indoor coil temp. sensor in short circuit, or open circuit, it can resume due to the signal. Remark: Being electrified to test E2 check sum, or E2 is broken down. Remark: Communication failure alarms for 4 minutes contineously, it can resume due to the signal. Remark: Indoor fan motor wrong wiring or indoor fan motor abnormal. Trouble contents (old): communication trouble between wired remote controller and indoor unit. Trouble contents (old): Communication trouble between indoor and outdoor unit. 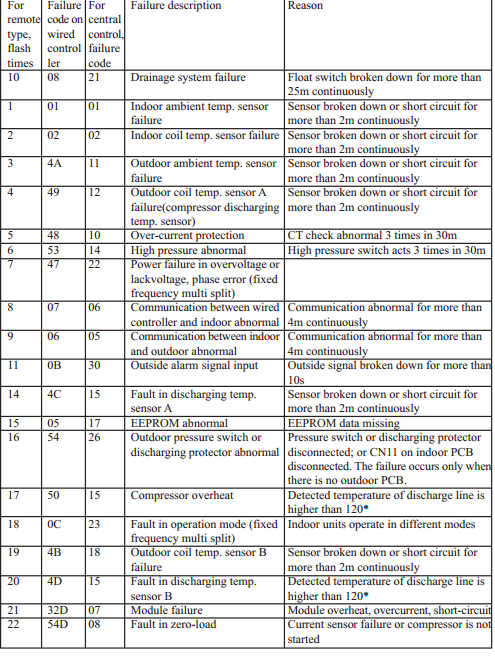 Analyze and diagnose: Alarm and stop if detect Td-Tci<=15 last for 1min after compressor has started for 10min in heating mode, confirm the failure if it appears 3 times in one hour. Before starting the air conditioner, read the information given in the User’s Guide carefully. The User’s Guide contains very important observations relating to the assembly, operation and maintenance of the air conditioner. The manufacturer does not accept responsibility for any damages that may arise due to non-observation of the following instruction. 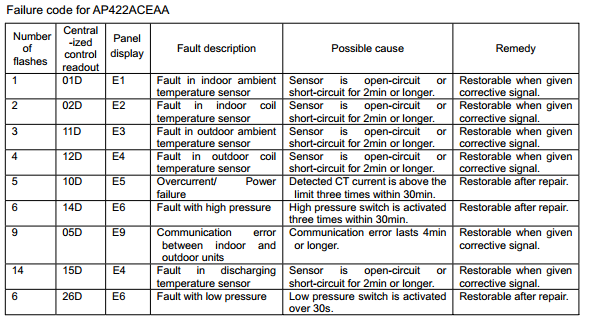 Sensor diagnose: 2 seconds after the sensors open circuit or short circuit, the unit will turn off automatically and the LED will show E0 until the sensors resume. Keystroke circuit error diagnose: When power on for the first time, the PCB will check the keystroke circuit, if the sampling value is different with the theory value, the LED will show E1, which means failed keystroke circuit. The keyboard is locked and so invalid, but the remote control is working normally. Check if unit is plugged in.The plug may have come loose. Check if the unit is in “off” mode. The fan control may be in “off” position. The A/C setting may need to be raised. The temperature outside the room is below 65°F。The conpressor will not cycle on if the temperature outside is below 65°F. Outside temperature too cold .Set the unit on fan only setting to defrose ice. Lower temperature setting.Temperature setting may be too cold. What is simple F error and how to fix it? last year i bought AC, now display panel showing Error-E7. kindly how to fix that problem. At least how much voltage required for 1 ton DC inverter ? 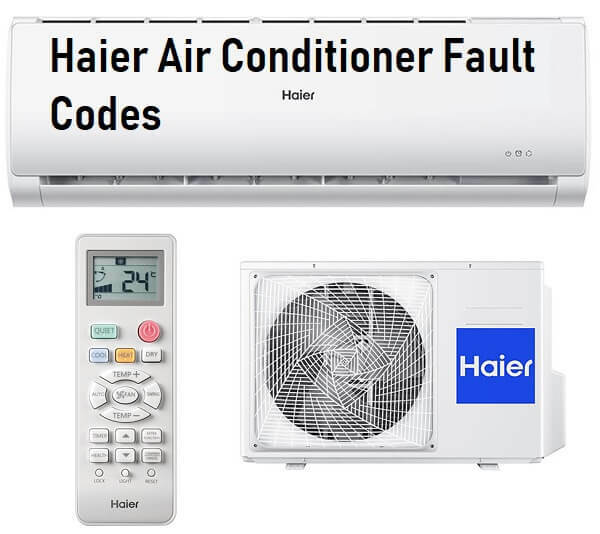 Dear expertise of Haier Air conditioner, am an Hvac technician doing service and some few repairs on Acs,but there are some errors which disturbs me, like error E7 and E1,what really bring such errors and how do you go about it?. Thanks and happy new year. and if new model the there is aproblem in communication between ondoor and outdoor unit. New model 12000btu split unit showing E7. 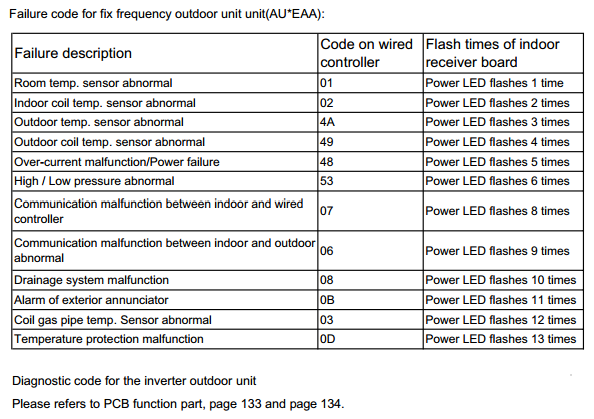 Error is communication error between indoor and outdoor units. What can I do to correct this? 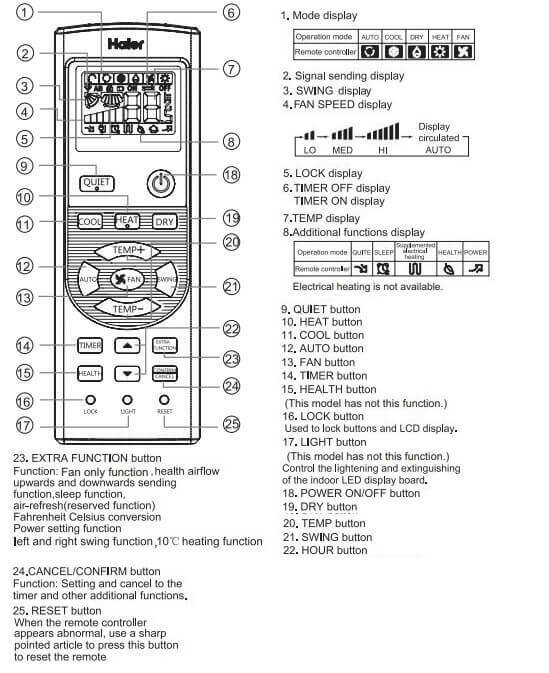 My Haier unit displays a “t7” error code not listed here. I reset the breaker switch, left unit off overnight, replugged it in while in off position waited a few hours and turned it back on to no avail. Any suggestions? What is error code E2&E5. How fix this? How to Fix E2 error?